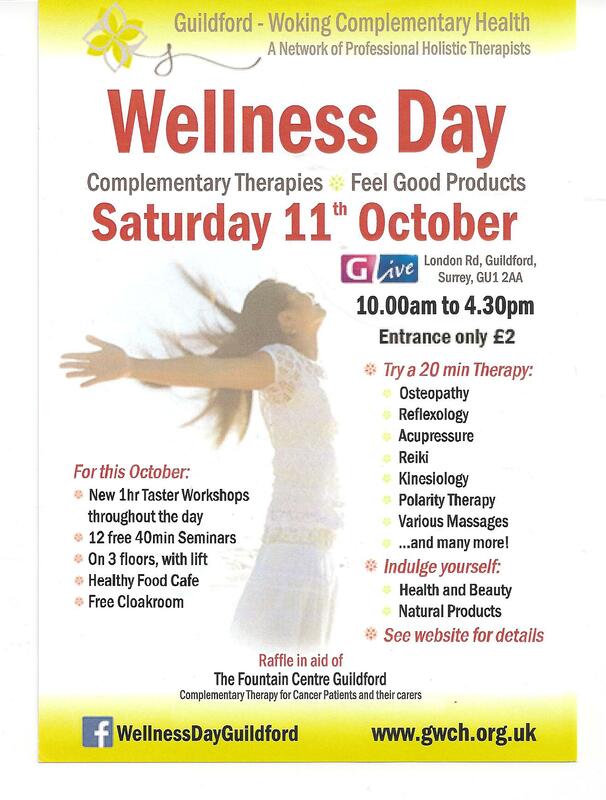 If you are in the Guildford area this Saturday (11th October) then come and see me at the G Live Wellness Day. I will be on Stand L16. There will be Essential Oils, Essential Oil Products, information about training AND taster Foot Massages and consultations for a product made bespoke for you! Stand L16 – It will be great to see you there! !